CHICAGO, September 10, 2017 – In the rapidly-evolving printing industry, it’s hard to grow a business without investing in technology. But it’s also a challenge to assess how much technology is needed to produce an optimal return on investment. Atlanta-based Sull Graphics is one mid-sized print and marketing services provider that found itself in that very position. In just three years, the company had roughly doubled in size. However, their very manual processes were an issue that needed addressing, in order to continue to provide their high level of quality and customer service. Without new, more efficient processes, CEO Keith Sullivan feared that quality and profitability could slip. Sullivan took action and hired an outside consultant to evaluate every aspect of the shop’s operation. The consultant validated what management had already suspected: between order origination and final delivery, there were too many places where Sull Graphics staff needed to intervene to keep the process moving. And data from the shop floor was not easily accessible to those who weren’t physically present, but still managed mission-critical functions: sales, customer service, inventory management, shipping and finance. The consultant recommended that Sull Graphics implement management information systems technology. Sullivan thoroughly evaluated several Print MIS systems and identified the best solution to improve the process, enhance profitability and maintain the superior quality for which Sull Graphics is known: Avanti Slingshot. Avanti Slingshot is a modular, JDF-certified Print MIS platform that makes critical data available to anyone, at any time. It enables print shops to deliver more jobs, in less time, with the confidence in knowing that every aspect of the shop is integrated into a single powerful platform. It wasn’t long after the system was installed that Sull Graphics began to see a return on their investment. Keith Sullivan can attest to the tangible savings following the implementation of Avanti Slingshot. “Avanti Slingshot exceeded our expectations – by a lot – and in a multitude of ways,” he said. Two percent of job tickets contained incomplete manufacturing instructions, which necessitated re-working of each of those jobs. With Avanti Slingshot, the error rate has been reduced to one-half of one percent. Sull has cut the cost of rework by an average of $200 per day, adding $48,000 per year to the bottom line. 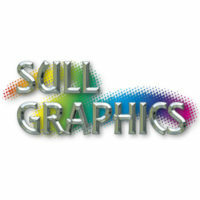 At the time, Sull Graphics received approximately 90 orders per week via its web-to-print solution. Each of those orders required re-keying, taking about 15 hours of staff time each week. By integrating Avanti Slingshot with the company’s web-to-print system, MarcomCentral, Sull Graphics completely eliminated the need to re-key those orders and saved nearly $20,000 per year, further bolstering that bottom line. Invoicing was another area needing attention. Before implementing Avanti Slingshot, roughly 90% of Sull’s pro forma invoices had missing or inaccurate data (e.g., shipping costs or prepress time) that had to be manually corrected. This step resulted in an average four-day delay between shipping the job and invoicing the customer. With the Avanti Slingshot system, data is entered simultaneously on the shop floor, and resulting in only 5% of pro forma invoices requiring edits. The time required to process invoices had been cut in half, achieving an annual saving of $24,440. Today, most invoices go to the customer within one day of shipment. This has dropped Sull Graphics’ invoice-to-payment from 45 days to 41 days, significantly improving cash flow. Avanti Slingshot has also provided numerous benefits that have gone beyond the hard costs savings. For example, because CSR’s and sales reps now have precise, up-to-the-minute job status information at their fingertips, the already-happy Sull Graphics customers are even more delighted with their service—not to mention freeing up time for sales staff to sign more business. Sull Graphics’ business has grown by 20% since implementing Avanti Slingshot last year. And, remarkably, no additions to administrative staff were needed to support the additional volume. Keith Sullivan talked more about his views on automation and the Avanti Slingshot system in a Printing Impressions video interview. Watch the video interview. Visitors to PRINT 17 (Chicago, September 10-14) can learn more about the ROI from a Print MIS for their own shop by visiting Avanti in booth #635.